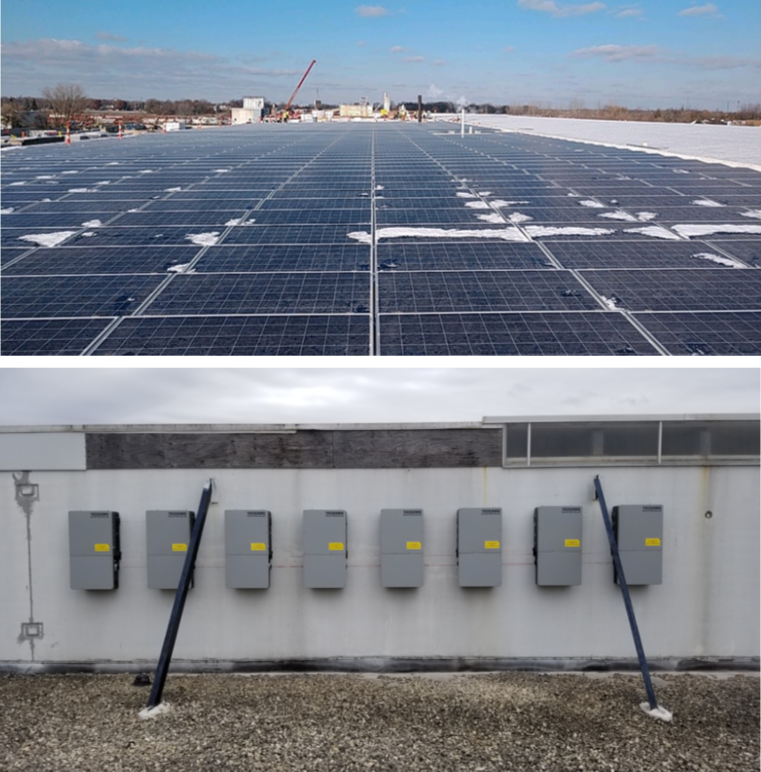 WCP Solar was contracted to design and construct a rooftop mounted solar system for a construction firm hosting the first Community Solar Plant, located in Plainfield, Illinois. This grid connected system ties directly into ComEd utility's power grid and will generate enough energy to power up to homes. The project is sized at 2.01-MW1, using 5,940 GCL-P6/72H framed photovoltaic panels rated at 340-W. The system employs 25 Solectria PVI-60Tl string inverters appropriately sized to convert the DC energy produced by the solar plant into AC energy. In addition to providing significant energy savings, the solar system will produce approximately 2500 Solar Renewable Energy Credits (SREC's) annually and also qualifies for significant federal tax credit, local, and State rebates. It is estimated, that based on the incentives received, favorable innovative financing provided, and the energy savings being experienced, the system will be cash positive within 3 years. 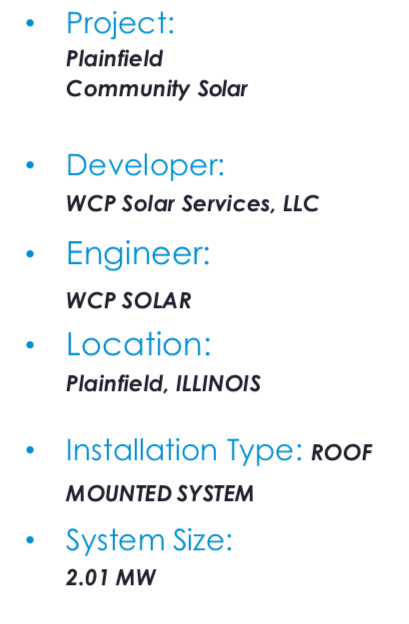 The WCP Solar construction management team oversee all phases of the construction process, including the day to day operations, weekly subcontractor, and Owner meetings, site monitoring, quality assurance and control, and scheduling. The Solar System will be one of the first community solar projects in the state of Illinois. Estimated completion date MAY 15th, 2019.